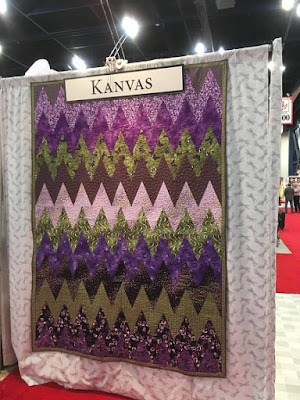 It's day 2 of our Quilt Market tour, and we're sharing photos of the Kanvas section of the booth. 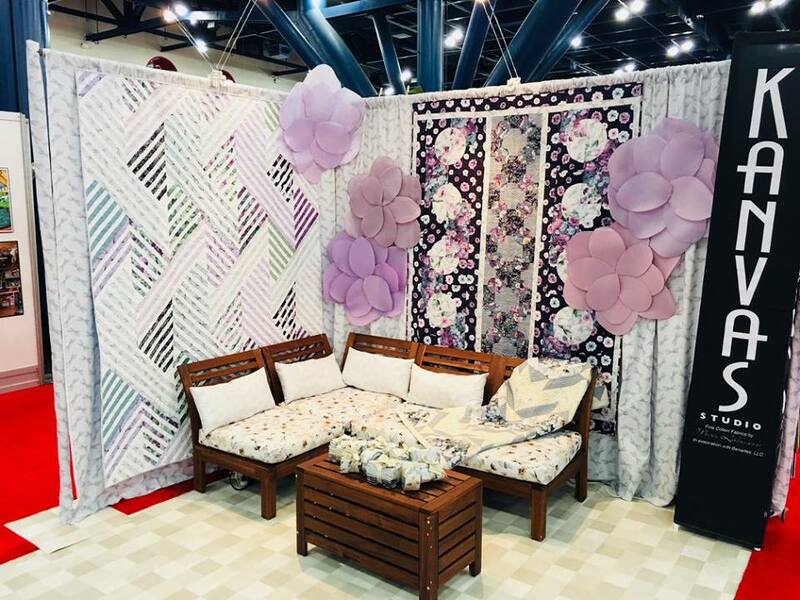 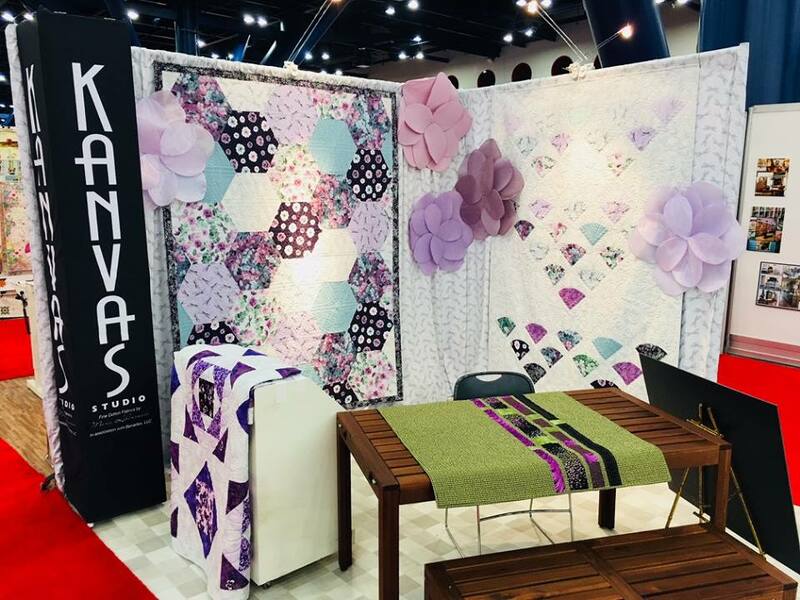 Our Kanvas booth showcased two fabric lines, Pansy Noir and Essence of Pearl. 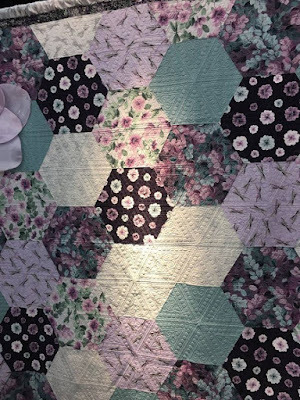 Pansy Noir is packed with (you guessed it!) pansies, featuring every shade of purple along with greens and blacks, all dusted with metallic gold. Essence of Pearl features dusky florals, leaves and dragonflies, all touched with a soft pearlized white. 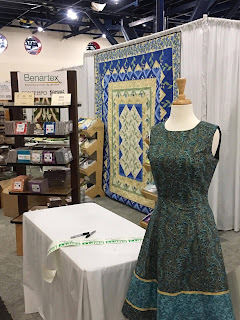 These two collections worked beautifully together in the booth! Love the quilting on these Essence of Pearl hexies! 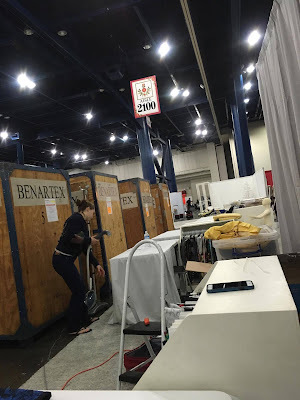 Everything arrives in huge crates, which need to be unpacked and sorted. 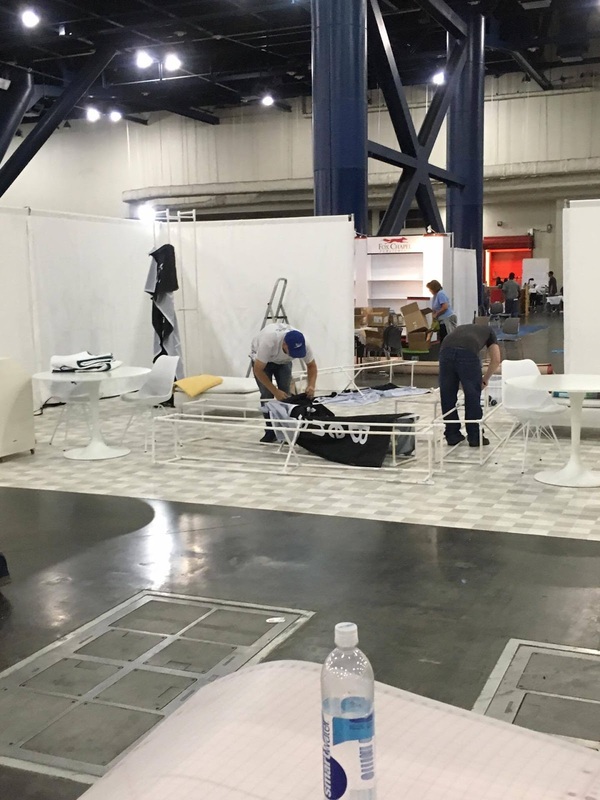 It's a big project, and we'd like to thank our team for doing such a great job setting up the booth! 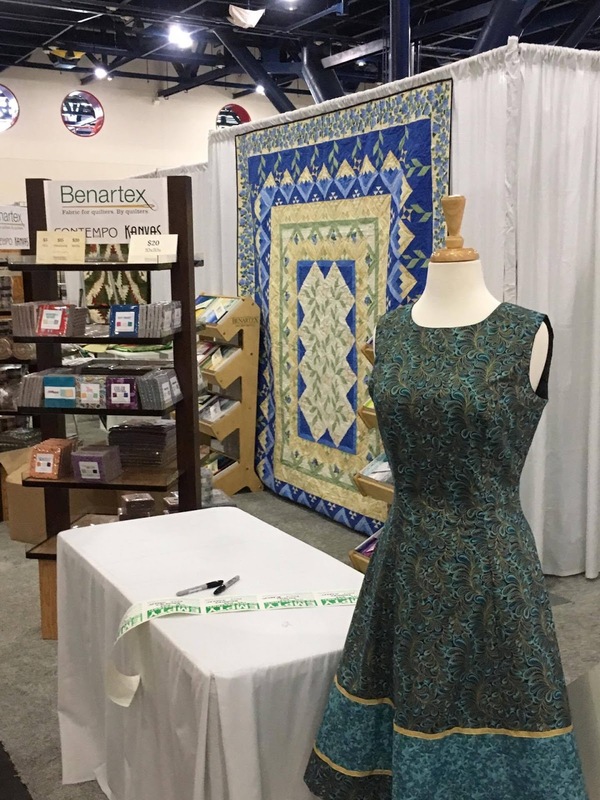 Click here to see the Benartex booth tour. 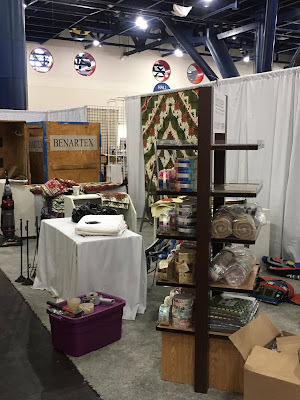 Click here to see the Contempo booth tour. 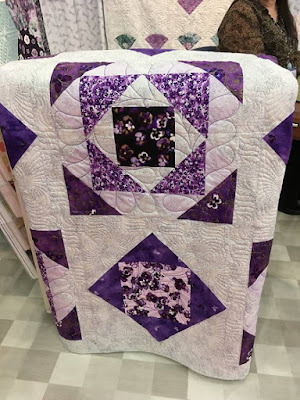 I love all of the purple! 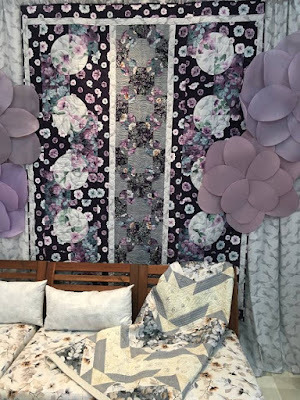 I would imagine you had to do a dry run of this space and setting back home before shipping to quilt market. Must hold your breath hoping that everything was packed and nothing damaged. 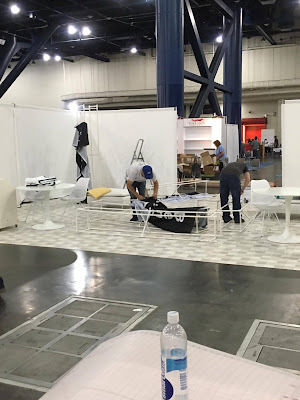 Thanks for the behind-the scenes look. 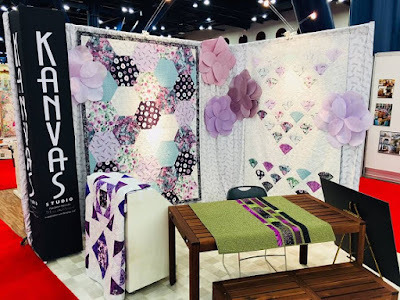 And for a look at the completed booth with Kanvas projects.